Day 29: Think through your idea editorial calendar. Bonus: develop a regular feature for your blog. With one more day to go this is a good opportunity to take stock. Over the past month I have continued to post regularly on my other site thechangingpalette to various photo challenges, which have increased in number over the past few weeks. At the same time, I have posted regularly on theotherpalette to the various Zero to Hero daily assignments, which has been a valuable learning experience, and many thanks are due to the WordPress team for guiding us along. Hopefully the blogging will continue to improve with more photo challenges to come. One of my plans for 2014 is to digitize my old black and white as well as color negatives and color kodachrome slides, which I am happy to say remain in pristine condition, even though many of them are over forty years old. I suspect you have similar archival boxes of old photographic material, so why not join me and continue journeying towards blogging “herohood”; looking back as we go forward. 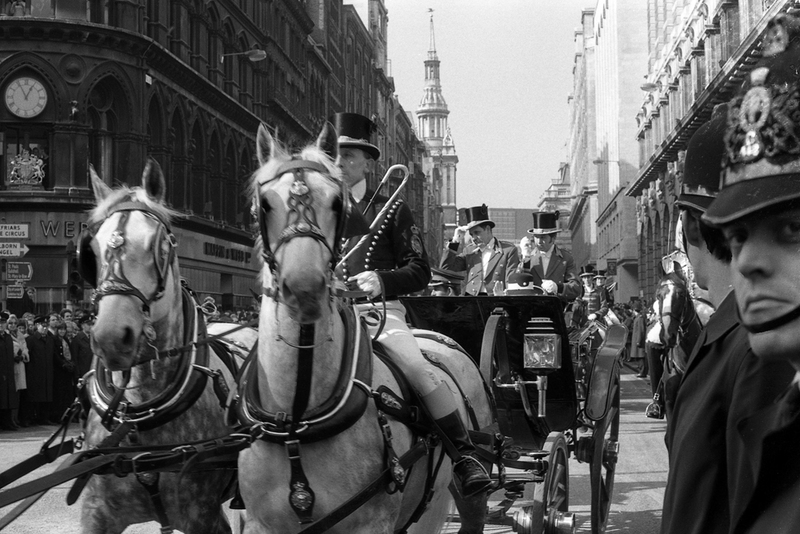 The negative for this image is over forty years old and yet it is as if I took this photograph of Prince Charles and Princess Anne riding through the streets of the City of London only yesterday. This entry was posted in photography, Uncategorized, zero to hero and tagged black and white photography, photography, postaday, zerotohero by Andrew Seal. Bookmark the permalink. Amazing quality. I’m a bit leery of the police officer staring directly at me, though. It doesn’t help that, if he’s still alive, he would be well over 60. Very cool! Thanks for sharing it with us.